Many Scriptures testify to the fact that the present age will culminate in the coming of the Lord for His church. According to 1I Thessalonians 4:13-18, this event will close the age with the resurrection of the dead in Christ, and living saints will be caught up to meet the Lord in the air and thereafter be with the Lord. In view of the extensive consideration of Biblical truth relating to this subject in a previous publication by the author, the present discussion will be limited to the important aspects of the doctrine. Three lines of truth relating to the coming of the Lord for His church will be considered: (1) the rapture of the church, i.e., the coming of Christ for His church; (2) Christ in relation to the church in heaven; (3) the second coming to the earth. predicted by Daniel, but before the great tribulation of the last three and a half years preceding Christs return to earth; (3) the partial-rapture view, that Christ will catch out of the world those who are spiritually qualified before the tribulation, and as others become qualified, will catch them up to Himself throughout the tribulation period; (4) the pretribulation view, which holds that Christ will come for His church before the seventieth week of Daniel, the seven-year period preceding Christs coming to the earth to establish His millennial kingdom. Of the four views it may be said that an insignificant fraction of expositors follow the partial-rapture view, and it has never attained the status of orthodoxy within evangelicalism. The midtribulation view has experienced some popularity in the present generation, but has practically no literature and is held by no specific group or denomination. The great body of students of Scripture who, are premillennial hold either the pretribulational or posttribulational view. Posttribulationism. Unquestionably, the majority view as far as the rapture is concerned is the posttribulational view, namely, that Christ will come for His church in connection with His second coming to the earth. This is the view advocated by the amillenarians and postmillenarians and by some premillenarians. They contend that to divide the rapture from the second coming to the earth by a period of at least seven years is to bifurcate what the Scriptures intend to be a single event. first and then the rapture is not what the early church fathers believed at all, for the early church held the any-movement view of the Lords return, thinking erroneously that they were already in the great tribulation. The modern form of posttribulationism which places the tribulation still future and to be followed by the rapture is in some respects more recent than pretribulationism as it is taught today. Pretribulationists hold with the early church in the doctrine of imminency, but disagree that we are already in the great tribulation. Posttribulationists disagree with the early church doctrine of imminency but, like the early church, place the rapture after the tribulation. 2. The church will be preserved through the tribulation. This posttribulational argument attempts to play down the Scriptures that teach that the time of tribulation will be unprecedented in its severity and advances the position that the wrath of God in this period will be poured out only on unsaved people, while the church will go through the period without experiencing the wrath of God. Pretribulationists observe that this is not what the Bible teaches inasmuch as evidence seems to point to the martyrdom of most of those who do come to Christ in the period and that the nature of the judgment, such as earthquakes, pestilence, war, famine, etc., would affect believers as well as unbelievers. Pretribulationists also point out that posttribulationists adopt an extensive spiritualization of prophecies which should be taken literally in order to avoid contradiction of their viewpoint. 3. There are saints in the tribulation. Posttribulationists have seized upon the fact that there are saints in the tribulation as proving that the church is there as well. Pretribulationists reply by admitting that there will be people saved in the tribulation period. However, it is noted that none of the technical terms relating them to the saints of the present age, such as the phrase in Christ, or the baptism of the Spirit, or similar terms are to be found. The word church is never used in any passage dealing with the great tribulation. must occur before the rapture according to posttribulation interpretation. The events usually cited, however, such as the predicted death of Peter, the destruction of Jerusalem, and implications that the period will be a long time, actually do not stand in the way of current belief in the imminent return of Christ and did not even hinder this in the first century. Even the few years from Pentecost to the time of Pauls conversion and later revelation of rapture truth in its details could be considered a long time. The destruction of Jerusalem is nowhere stated to be either before or after the rapture. The death of Peter could, of course, have taken place any day. This posttribulation argument certainly does not militate against the doctrine of imminency today. 5. The prophecy of a resurrection occurring at the beginning of the millennium is cited as supporting posttribulationism. Pretribulationists, of course, agree with posttribulationists that there will be a resurrection before the millennium in connection with Christs second coming to the earth as this is explicitly taught in Revelation 20:4-6. Pretribulationists hold, however, that this resurrection relates to tribulation saints and possibly Old Testament saints, but does not include specifically the dead in Christ of the present age. All premillennial interpretations of Scripture agree that there is more than one resurrection, as Scriptures indicate as a minimum the resurrection of Christ, the resurrection of the righteous related to the second coming, and the resurrection of the wicked after the millennium. The further division of the resurrection of the church before the tribulation and the resurrection of other saints after the tribulation would be an additional refinement. 6. The same expressions are used for the Lords return for His church as are used for His second coming to the earth. Pretribulationists agree that the word coming (Gr. parousia) and other similar words may be used of both events, but find nothing strange in such usage. These are general words and must be invested by the context with their particular meaning as these same words are used of other events in the Bible and are not technical words. in the first place the order is not important here as even posttribulationists admit that the separation of the wheat and the tares occurs simultaneously as illustrated in the judgment of the sheep and the goats in Matthew 25:31-46. The reference to the wheat and tares, however, relates to the second coming and not to the rapture, as the entire interadvent age from the first coming to the earth to the second coming to the earth is in view in this passage. Significantly, in the same chapter in the parable of the dragnet, the order is reversed and the good fish are gathered into the vessels and subsequently the bad are cast away	4" (Matt. 13:48-50). The rapture, however, is not in view in either parable. 8. Expressions like the day and the day of the Lord are technical terms which could not refer to more than one event. Pretribulationists observe that the expression the day of the Lord actually is a long period of time, including the entire millennium. In the nature of the case, an expression like day is a general term and has to be given meaning in the context. It is not true that this word is always used in the same sense in the Bible, and, as a matter of fact, it would be impossible to make this expression always a technical term. 9. The chronology of 2 Thessalonians 2:1-12 requires two signs preceding the Lords return, namely, the apostasy and the revelation of the man of sin. Pretribulationists observe that this passage is given as a correction of an error which had been taught the Thessalonians, namely, that they were already in the Day of the Lord and in the period of trouble which this would bring upon the earth. These signs relate to the Day of the Lord, not the rapture. This passage is actually an argument for pretribulationism rather than posttribulationism as the restrainer apparently is to be identified with the restraint of sin in the present age. This must be removed before the tribulation can come. Whether or not the restrainer is the Holy Spirit, as many believe, it would be natural for an event like the rapture to cause such a lifting of restraint, and the subsequent revelation of the man of sin. If there is any evidence in this passage relating to this question, it is for the pretribulational view rather than the posttribulational view. 10. The term the end is a technical expression always referring to the end of the interadvent age. Pretribulationists note that passages where this expression occurs (1 Cor. 1:7-8; Heb. 3:6, 14; Heb. 6:11; Rev. 2:26) refer to a time which must necessarily be defined by the context. Significantly not one of the five texts used as proof are linked with the posttribulational coming of the Lord and only one instance (1 Cor. 1:7-8) even mentions it. Like other terms such as the day and coming, the expression the end is not technical in itself, therefore, could conceivably be used of the end of the church period as well as the end of the tribulation. 11. Certain passages, such as Matthew 24:31, relate the rapture to the end of the tribulation and lead naturally to posttribulationism. Pretribulationists point out that a rapture is not mentioned in Matthew 24:31, and in the passage neither translation nor resurrection is specified. As in many other instances, posttribulationists are assuming what they are trying to prove. These brief answers to the principal posttribulational arguments could be greatly expanded. The basic problem, however, is that posttribulationism has been occupied with refuting the pretribulational arguments, but seldom if ever offers solid proof that the rapture occurs after the tribulation. As a matter of fact, not a single passage in the New Testament relating to the rapture contextually can be proved to refer to the close of the tribulation period. Posttribulationists therefore are driven completely to inference. It is most significant that in all of the passages dealing specifically with the second coming of Christ to the earth not one word can be found concerning translation of living saints. Pretribulationists concede that there will be a resurrection of certain saints at this time, but in none of these resurrections is the church specifically mentioned. In fact, passages such as Revelation 20:4-6 specifically refer to the tribulation saints. It is significant that the great majority of educational institutions which are premillennial are also pretribulational, especially the Bible institute movement which has specialized in the premillennial interpretation of the Scripture. that some should be attracted to a mediate position. Although comparatively little literature has been created and no specific school of thought has emerged in support of the midtribulation view, it has been adopted by some contemporary evangelical scholars. Their position is that the church will be raptured at the end of the first three and a half years of the seven years of Israels covenant (Dan. 9:27) and therefore will be caught out of the world before the time of the great tribulation which is the last three and a half years. The principal argument in favor of midtribulationism is the identification of the trump which will be sounded at the rapture with the seventh trump of Revelation 11. This identification, however, is completely faulty as the series of trumpets culminating in the seventh trumpet are trumps of angels having to do with the pouring out of wrath upon the earth and have no relation to the rapture or translation of living saints or to the resurrection of the dead in Christ. The seventh trumpet of Revelation is near the end of the great tribulation, not at its beginning as the day of wrath has begun much earlier (Rev. 6:17). This seventh trumpet is not the last in any event as there is a further trumpet mentioned in Matthew 24:31. The midtribulation theory renders impossible the imminency of the coming of the Lord as the events of the first half of Daniels seventieth week would have to occur first. question is raised, How many works are required to qualify? it becomes immediately apparent that this teaching is on a questionable foundation. According to 1 Corinthians 15:51 all Christians will be included in the translation and resurrection at the rapture. It is because of these objections that most evangelical scholars have considered the partial-rapture view unworthy of serious consideration. Pretribulation rapture. This point of view is adopted in the discussion to follow and holds that Christ will come for His own before the seventieth week of Daniel is fulfilled and therefore before the great tribulation. This view has been generally followed in most advanced study of prophecy among premillenarians in the twentieth century and is in harmony with the doctrine of the imminency of the rapture held by the early church fathers. A thorough study of the doctrine in the last century has brought to light many details which formerly were obscure and has tended to harmonize the premillennial interpretation of the Scripture and solve problems which in former generations were only partially answered. Generally speaking, this view is held by most premillenarians today, especially those who distinguish the program of God for Israel and the church and who tend to interpret prophecy in a normal, literal way. In the authors work on The Rapture Question some fifty arguments for pretribulationism are set forth in the conclusion. Without attempting to restate all of these arguments it may be observed here that pretribulationism depends upon two important premises. First, the church is regarded as a body of saints distinct from those of other ages, either before or after. Second, the tribulation is viewed as a future period of unprecedented trouble which will occur in the last half of Daniels seventieth week, a seven-year period which is future and subsequent to the rapture. Generally speaking, opponents of pretribulationism have begged the question by assuming that the word church includes saints of all ages, often with no proof whatever, and have tended to neglect the specifics given in the prophetic word concerning the tribulation itself. 1. Pretribulationism is an outgrowth of the same type of hermeneutics which leads to premillennialism,namely, a literal interpretation of prophecy as opposed to the amillennial, spiritualized or allegorical interpretation of prophecy. Consistent premillennial hermeneutics leads to pretribulationism. This is evidenced by the fact that many who have abandoned pretribulationism often abandon premillennialism also. 2. No positive evidence can be produced that the church is in the tribulation as no specific term distinguishing the saints of the present age from other ages is ever used in connection with those in the tribulation itself. 3. According to the accounts of the tribulation in the Scripture, the events are related to Israel and the Gentiles and not to the church. In fact, the church is promised deliverance from the period according to 1 Thessalonians 5:9 (cp. Rev. 6:17; 1 Thess. 1:9-10; Rev. 3:10). Whenever the truth of the rapture of the church is presented in the Bible, it is always in the form of predicting it as an imminent event. It is therefore offered as a hope to believers and a basis for comfort and exhortation with no events indicated as necessarily occurring first (1 Thess. 4:18; 5:6; Titus 2:13; 1 John 3:1-3). 4. The period in which sin is permitted to manifest itself without restraint seemingly is impossible until the restrainer (probably to be identified as the Holy Spirit) is removed (2 Thess. 2:7). This would seemingly require the rapture first before the tribulation can begin. (Matt. 25:31-46) and the judgment of Israel (Ezek. 20:34-38), both of which judgments presume that there has been no separation of the saved from the unsaved such as a rapture would have effected at the time of the second coming. 6. Many contrasts exist between the rapture of the church and the second coming of Christ to the earth which tend to prove that they are distinet events and separated by a time period. The rapture pictures the saints meeting Christ in the air while at the second coming Christ meets the saints on earth. At the rapture the saints go to heaven; at the second coming the saints come to the earth. At the rapture there is no indication that sin is judged in the earth as it occurs before the day of wrath; at the second coming Christ establishes His kingdom, returning to the Mount of Olives, remaining on earth where He reigns as king. At that time sin will be brought into judgment and righteousness and peace will fill the earth. The second coming clearly follows the great tribulation which is given as a definite sign of the Lords return. The rapture is constantly viewed as a signless event which is imminent. The arguments for pretribulationism offered at length in the authors The Rapture Question as well as other important contributions to this field of study, such as J. Dwight Pentecosts Things to Come and Gerald Stantons Kept from the Hour, demonstrate that pretribulationism is not wishful thinking, but is based upon a solid principle of interpretation, many passages of Scripture, and is supported by innumerable collateral proofs. The pretribulation point of view welcomes thorough investigation. going to be taken out of the earth to heaven rather than for Christ to come to the earth to be with them. In the first of Pauls epistles to the Thessalonians, further exposition is given the doctrine of the rapture as it was held by the early church. The Apostle Paul accompanied by Timothy and Silas had visited Thessalonica and in the course of their ministry extending over three Sabbath days had led a small number to the Lord. After being forced to leave because of persecution, Paul sent Timothy back to Thessalonica to ascertain their condition. Upon his return to Paul, Timothy reported on their progress and also brought back certain theological questions he was unable to answer. Among them was the question of the relationship between the translation of living Christians and the resurrection of the dead. without dying would be introduced to their heavenly existence; (5) having thus met the Lord in the air, saints translated and resurrected would be forever with the Lord (1 Thess. 4:17). This doctrine was introduced to them as a comfort in the loss of their loved ones as well as an encouragement to them in their time of persecution. It is noteworthy that no intimation is given of any intervening time of tribulation such as is discussed in 1 Thessalonians 5. A major contribution to the doctrine of the rapture was given later to the Corinthian church as recorded in 1 Corinthians 15:51-58. This important theological passage is introduced by a restatement of the gospel that Christ died for our sins, and that He rose from the dead, thus supporting the doctrine of the resurrection of all men. At the conclusion of this discussion, the truth of the rapture is described as a mystery, a truth unrevealed in the Old Testament. The Corinthian passage makes more explicit what is implied in Thessalonians, namely, that believers will receive a new body in contrast to our present corruptible, mortal, and sinful body. This heavenly body will be like the body of our Lord and suited for the heavenly sphere. The resurrection body will be incorruptible, that is, will not be subject to the decay and deterioration of age. It will be immortal in that it will be deathless. While it is not expressly stated in this passage, it is implied in 1 John 3:2 that our resurrection bodies will be sinless, a conclusion confirmed in Philippians 3:21 where our bodies are said to be conformed to the body of his glory. This resurrection and translation is said to take place in a moment, in the twinkling of an eye, at the last trump (1 Cor. 15:52). Although there are other allusions to the coming of the Lord for His church in Scripture, these major passages bring out the central doctrine, namely, that when Christ comes living Christians will be translated and the dead in Christ will be raised from the dead. After meeting Christ in the air they will go to the Fathers house as promised in John 14:1-3 and in the heavenly sphere will fulfill predicted events which will take place in heaven prior to Christs second coming to the earth. 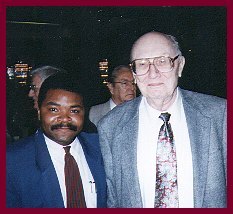 Dr. John F. Walvoord, (A.B., D.D., Wheaton Colleage; A.M., Texas Christian University; Th.B., Th.M, Th.D., Dallas Theological Seminary) has long been a recognized authority on systematic theology and eschatology. Dr. Walvoord is chancellor of Dallas Theological Seminary. He retired from the presidency in 1986. He is a past president of the Evangelical Theological Society. Dr. Walvoord has specialized in the field of biblical eschatology for more than thirty years. His academic background plus extensive travel in the Middle East makes him unusually capable of preparing theological and eschatological studies.